Livestock is life for a family in Niger—the means to pay the dowry for a future bride, the inheritance left for a son, the milk and money that keeps a family alive day to day. 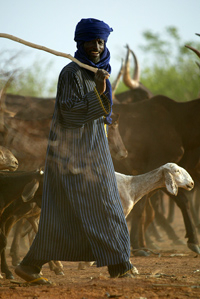 The people of Niger are directly linked to their animals and caring for the results in a healthier community. So it is a clear sign of their desperation that the people are selling their livestock—for half the normal value—for a chance to feed their children. What would bring a people so close to despair that they would willingly sell their daily means of survival, as well their cultural inheritance? Drought after drought after drought has ravaged the homelands of the people for whom selling their last camel, cow or goat is like selling their house and car, just to buy groceries. To make matters worse, Just 15 percent of the land is arable enough to produce food or raise the precious livestock, meaning that most of the country’s farming population is struggling to survive. In a predominantly rural economy, 80 percent of the people rely on subsistence agriculture to survive. Now, for the third time in the last ten years, the country is suffering through a drought. 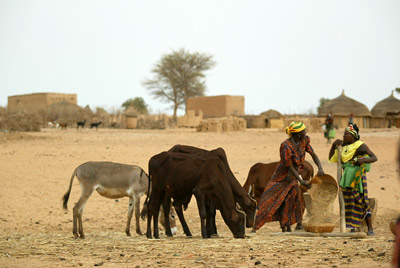 This drought is perhaps no different or harsher than the droughts Niger has survived over the decades. What makes it stand out is the pre-emptive measures taken against it by aid agencies; measures that failed to attract the global attention the drought or the Niger people needed. More than 5 million people in the Sahel region are affected by this drought, and aid organizations wanted to move early before the dire situation became a crisis, but preventative measures are a hard sell when there is no proof to show donors. We are proud of the work that our partner, World Vision, is doing to provide food relief but it too doesn’t have all that it needs for adequate relief. 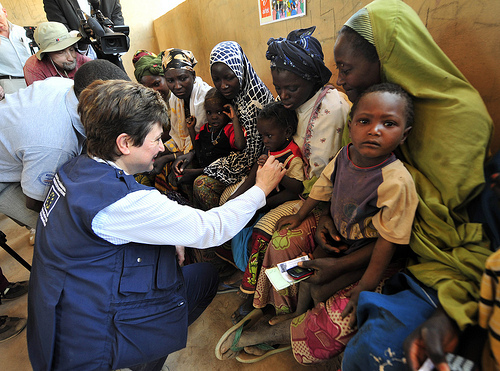 For Niger, the gap is $4.4 million out of a $16 million relief budget. The rains have returned, but that doesn't mean that food is instantly available, and along with the rain comes flooding that leads to devastating cholera outbreaks. General food distribution, cash transfers, and supplementary feeding programs must continue. The good news is that within the last decade, rich oil deposits have been discovered in Niger and it has enough uranium to become the world’s second-largest exporter of the element. Oil and uranium are two of the global economy’s most sought-after commodities, and if managed correctly, could make Niger one of the more stable and balanced countries in the African continent.